We posted a new Specific On-Topic Training Video on CADWorx Equipment. Specifically, the Training Video is on the Reference Line Options. CADWorx 2015 Hot Fix 1 ( CADWorx2015HF1.zip ) for CADWorx Plant Profession 2015 is released. This Hot Fix is now available for download from Intergraph’s Smart Support System. Further information about what is contained in this Hot Fix is available in the Readme File link shown in the download description on the Service Packs and Fixes page. If you have trouble accessing this Hot Fix, need further information or a log on for Smart Support, please contact ECE Design. 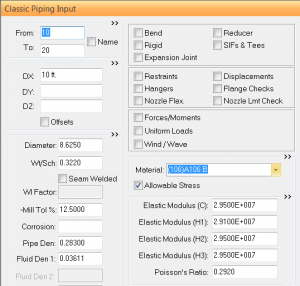 CAESAR II – Navigating the Material Database: Consider an evaluation of a run of piping that includes non-standard materials. We need to determine whether or not CAESAR II has these materials available, and if not, add them and the material properties for our analysis. How can we go about doing this? Materials like SA-106 Grade B can be selected easily for analysis by typing in “106” in the material field shown in Figure 2. The number “106” is not directly related to the material, but instead relates to the material ID in the CAESAR II database. 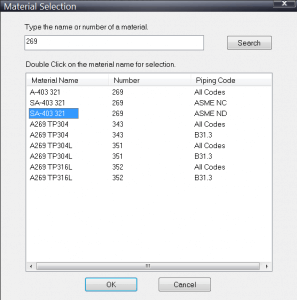 What we need to understand is where is the material ID specified by the material database? To find this out, lets go to the materials table in the Home tab of the main CAESAR II Input screen (Figure 3). 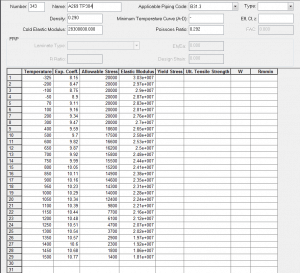 This opens up the material database editor, and allows us to alter the properties of all the predefined materials that come standard with CAESAR II. Figure 2 – Material A106 Gr B selected. Next, we are going to select the edit the material icon, which is the fourth icon from the right in Figure 4. This will allow you to search all current materials in the database. In this example I am interested in SA-269, a particular grade of Austenitic Stainless Steel which I need for corrosion resistance. Following the dialog input, I typed in “269” and searched. I received 9 separate material types in return in Figure 5. The first three correspond to material ID 269, which corresponds with SA-403, this isn’t what I want. The next 6 materials are exactly what I am looking for. For the 6 records, there are three groups based on Grade. The three grades are TP304, TP304L, and TP316L. 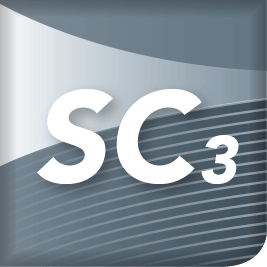 For the three grades, there are two separate materials based on whether or not you are using B31.3 or not as your design basis. Right now, I have a clear understanding of what material ID number corresponds to these materials. The middle column “number,” has three identifications, 343, 351, and 352 for TP304, TP304L, and TP 316L respectively. 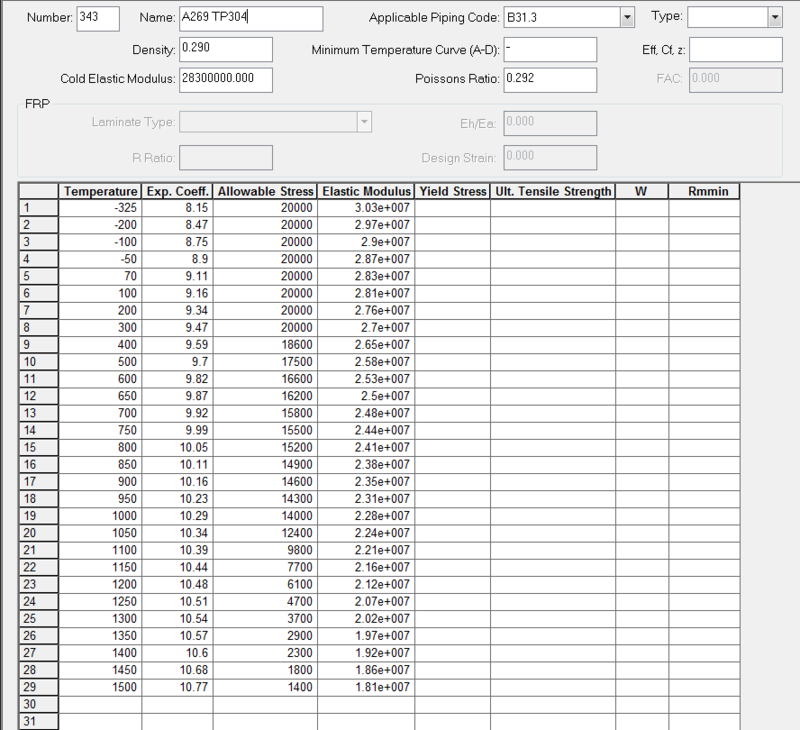 I can go back to my piping input screen in Figure 1 and type in any of these numbers to get the corresponding material grade I am looking for. For now though, let’s take a look at the information CAESAR II contains for a material grade. I’ll check A269 TP304 B31.3 and click OK. Figure 4 – Select the material Edit Icon. Figure 5 – Type in “269” and click search. 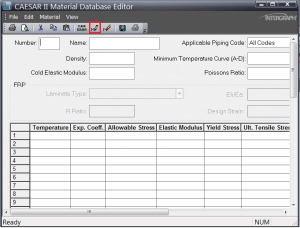 Figure 6 takes us back to the material database editor after clicking OK. The largest portion of this table describes the reduction in allowable stress versus temperature, which is a direct copy of the values found in the ASME Boiler and Pressure Vessel Code, Section II Part D.
In some situations if you are working with a unique grade, you may need to create your own table of allowable stresses, however for the vast majority of cases we are going to be working with default values. Company A purchased the Ultimate Suite because of a promotional special by their Autodesk Partner. All they really needed was the Standard Suite and when they asked to revert back that Partner wants them to pay the Upgrade Price to get back down! Company B transferred all their AutoCAD Licenses to Suites or vertical versions of AutoCAD such as AutoCAD Mechanical because of a ‘promotion’ by their Autodesk Partner and now their subscription costs have skyrocketed. The solution is the same as above – you pay the full upgrade price to revert to plain AutoCAD. If you do a Google search on Autodesk and Suites you need to go at least 10-20 pages deep to find the true story = but its there nonetheless. Autodesk and their dealer channel are pushing the Autodesk Design Suites and Vertical Products. In order to get them into the market they are offering “Free” or low cost upgrade deals. Many of our customers have experienced this first-hand so please look at the bottom line and ensure the decision to move to a “low-cost” Suite or Vertical is the best decision long term! The cost to move is “Free”. The cost to move back is NOT. Downgrades do not exist in the world of Autodesk! If you determine you don’t need the extra “Free” tools and want to go from the Ultimate Suite to the Standard Suite or the Standard Suite to plain AutoCAD to reduce your subscription costs then you pay the Upgrade Price for every license. Period. “Free” is a one way street! Most companies do not need 3, 4, 5, 6+ applications to get a Plant Design project done nor do they have the resources to operate that many different technologies. Moreover, the application inter-operability is marginal at best. Be careful. CADWorx is CADWorx! One application all integrated. 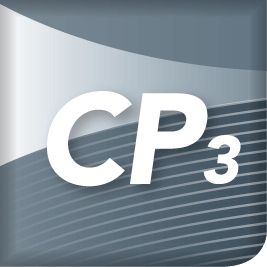 CADWorx Plant Professional exchanges with the CAESAR II for Stress Analysis and PV Elite for Pressure Vessel Analysis…none of the Autodesk Suite Products or other applications come close to these programs. With the acquisition of GT STRUDL and the new AutoCAD/Structural analysis application being released in the near future, Intergraph and CADWorx will have another Analysis Package that will become the market leader. In this case, GT STRUDL will take over the ‘steel’ market with all these capabilities under one platform. Further, there is now a growing integration between CADWorx, SmartPlant and Leica too. 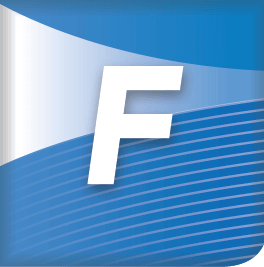 Since the Intergraph transition from COADE, ECE has heard every rumor from every Autodesk Dealer ‘expert’. 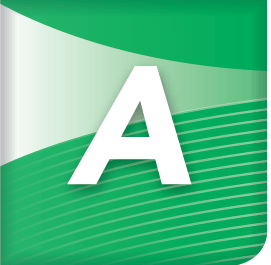 Unlike AutoPlant, CADWorx releases an AutoCAD compatible version within 3-4 month after the new AutoCAD release. Unlike AutoDesk, Intergraph is focused solely on Plant, Process and Marine with a truly integrated suite on the AutoCAD platform. 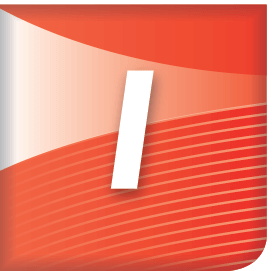 Intergraph owns the Number 1 Plant Design Software on Microstation (PDS) and the Number 1 Plant Design Software on AutoCAD. CADWorx & Analysis Products are the Market Leader and Here to Stay! Autodesk Suites – Are They Worth The Price? Please let me know your thoughts!